We bet on our curatorial skills that you’ll feel like something’s missing in your life after scrolling down. Yeah, that asymmetry. I saved these three looks from Pinterest because I liked them instantly. Afterwards I realized that all women in the pictures below wear a midi skirt (and have messy hair). 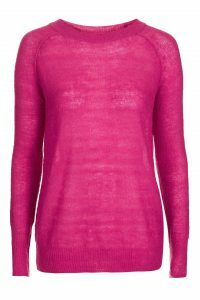 A street trend or not, this item is definitely one to collect and wear in tens of combinations. 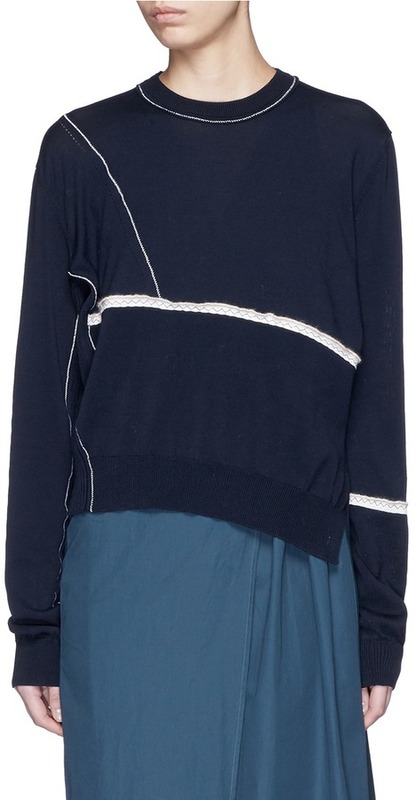 I hope the asymmetric sweater will never go out of style. There are so many that I would wear! 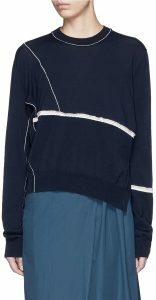 Including this navy one from Acne Studios. 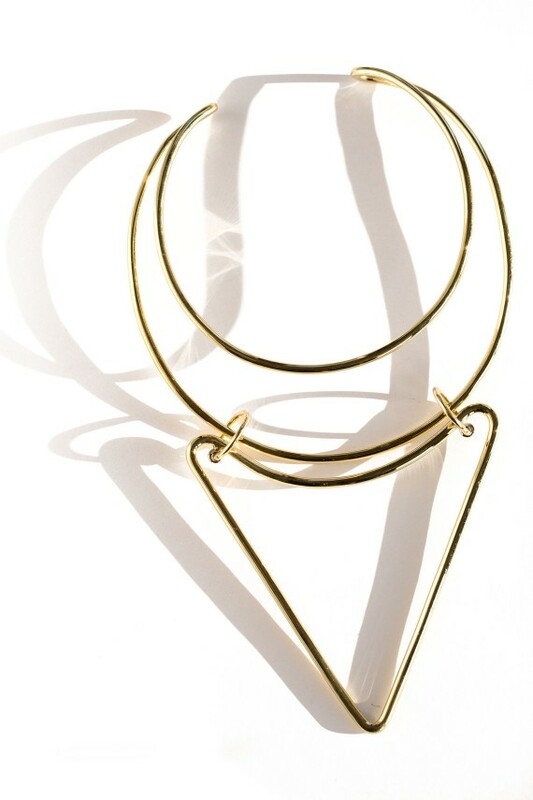 The geometric necklace fits perfectly into the ensemble, having a circle detail also on the bag handle. It looks effortless but it’s very well put together. 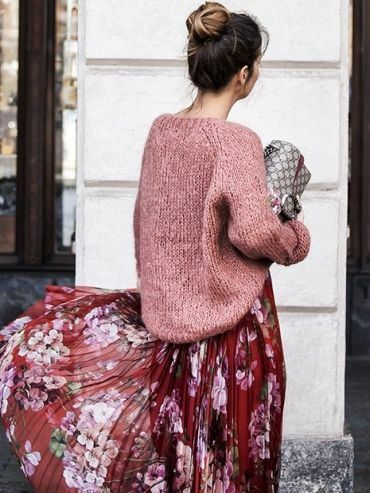 This is a look your boss will certainly approve! 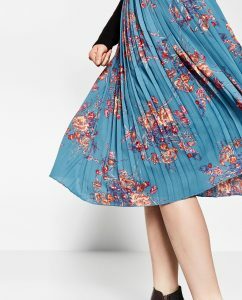 Button-up shirt, midi skirt. 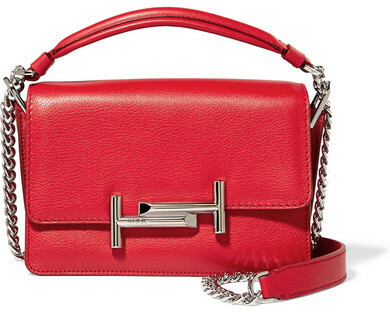 What you will like about it is the retro feel: frill hem, suede texture, compact bag. Add a matte lipstick to the combo, like Claudia recommended here for the lazy ones that want to look pretty but don’t want to put much effort into it. 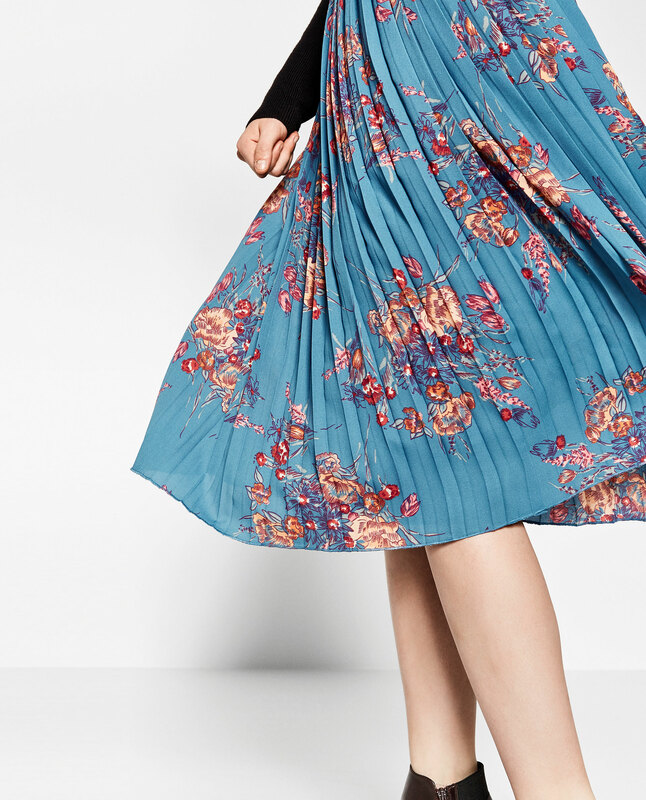 This a romantic option that transitions well into fall. 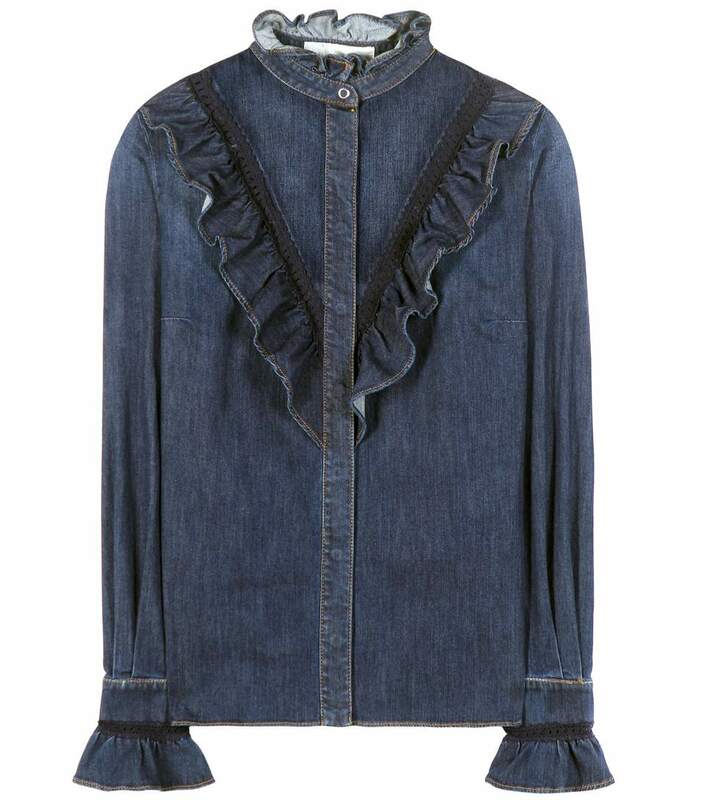 Wear it with thin strap sandals in August or with peep-toe booties in September. 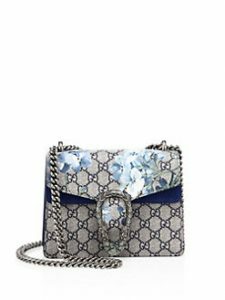 The Gucci Dionysus bag is a stylish accent but if you think there are too many on the street and on Instagram, then choose a velvet chain piece from Bottega Veneta or Marc by Marc Jacobs. 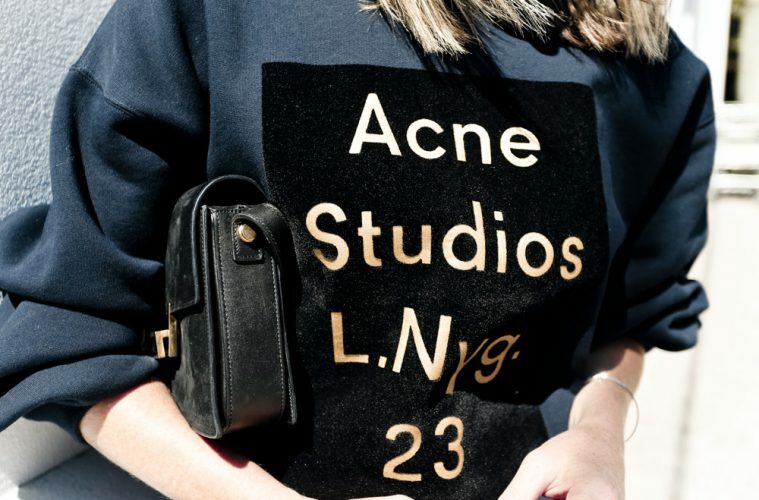 Acne sweater here. 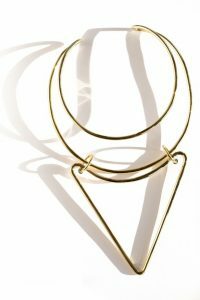 Anndra Neen brass choker here. 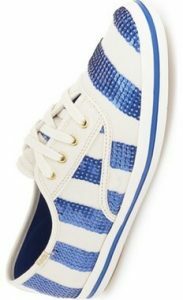 Keds for Kate Spade sneakers here. 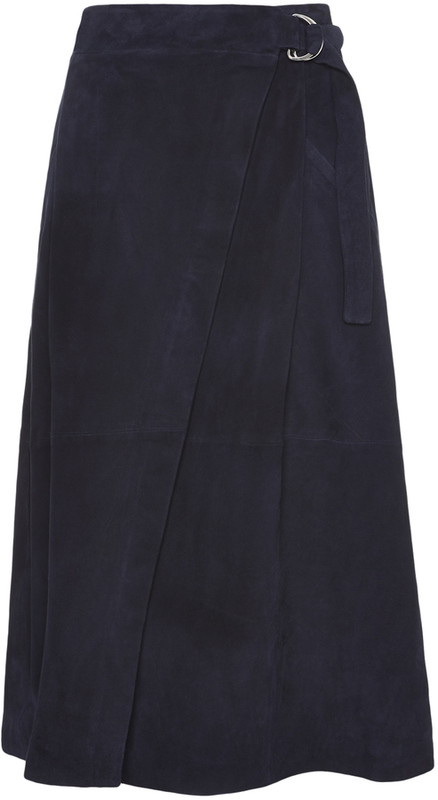 Whistles suede midi skirt here. Ted’s bag here. 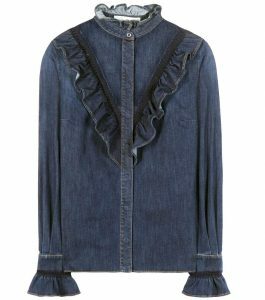 Stella McCartney shirt here. 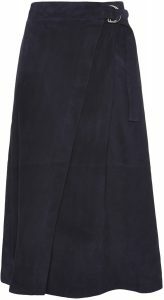 Zara pleated skirt here. Gucci bag here. 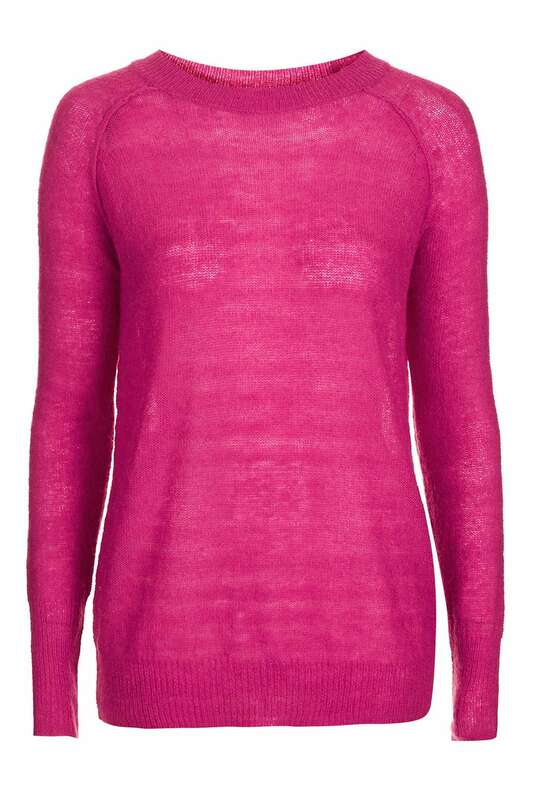 Topshop sweater here.